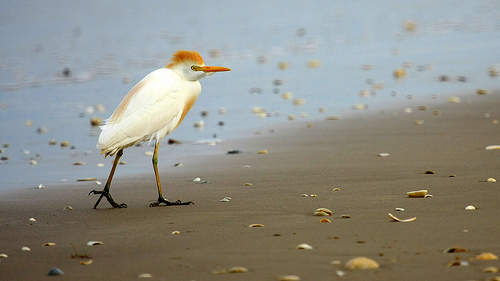 The Cattle Egret breeds in southern Europe, especially in Spain and Portugal. Occasionally it is seen in western Europe. The Cattle Egret has a relatively short beak, mostly yellow or red. The beak of the Little Egret is much longer and always black. 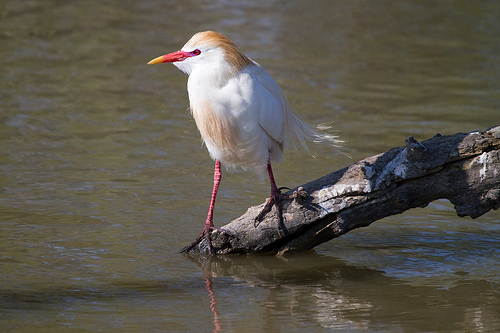 The Cattle Egret has a light-brown crown.